Your White Robes of Simpleness. After seventeen years of welfare service in Gower Street, during the World War II, the building was partially wrecked by a German Bomb. This was indeed a tragedy and one student lost his life. The work of this Institution was seriously interrupted and service continued on a very diminished scale. In the year 1946 a year before Independence, there was a large influx of Indian Students. They faced the post-war conditions of inadequate accommodation, austerity and rationing. The work of rehabilitation commenced. Transit accommodation for 15 students was provided in the building that remained after the war catastrophe. The University of London came to our rescue again and generously placed at our disposal two houses at Woburn Square which is within walking distance from our present building, at a reasonable rent. They were converted into a hostel with accommodation for 35 students. But our service was confined to the residents with an increasing number of students becoming non-resident members. During this period we were involved with plans for our new building. The University College had a post-war plan for extension in Gower Street. We therefore willingly transferred to the University our property to make room for the Department of Biological Sciences of University College. In exchange, the University acquired for us an alternative site of the same area and dimensions in Fitzroy square. Further, the university paid adequate compensation to supplement the grant from the War Damages Commission to rebuild our hostel. On May 5th, 1950, the first Indian High Commissioner, Mr V K Krishna Menon, laid the foundation stone for the new premises in Fitzroy Square. After years of struggle, raising funds, planning and waiting, it was a dream come true when this new modern building was formally declared open on March 24th 1953 by the High Commissioner of India Mr B G Kher. 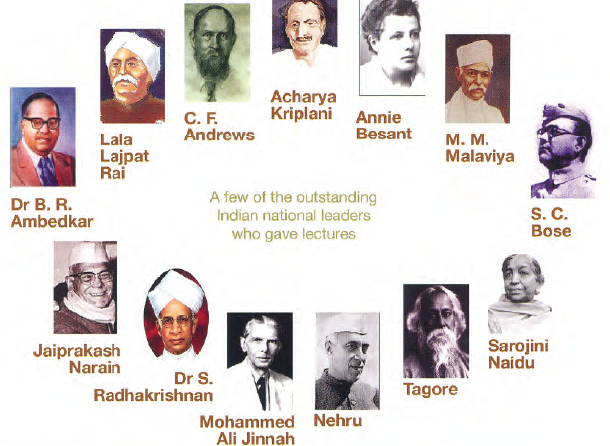 The same year Pandit Jawaharlal Nehru visited our institution and gave his blessings. With increasing demand for accommodation and recreation facilities of this Institution, the High Commission of India felt encouraged to consider plans for extension. We approached the authorities of the University to consider selling the part of the land behind the hostel for the extension of our building. We got a negative reply, as the University College had already drawn up plans for their own hostel in that area. 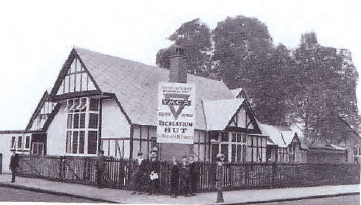 The Provost of the College at that time even went as far as to suggest that the Indian YMCA move out and find a site for a larger building somewhere else in London, and the University College was prepared to purchase the hostel building and the freehold site. This came as a shock. Fortunately for us, we had an influential Committee. Lord Spens, former Chief Justice of India, was Chairman of our Building Extension Project. Sir Fredrick James was for some years the Treasurer of the University College. We had the advice from another Member of our Management Committee, Mr J Hood Philips, Secretary of the Senate of the University. An appeal was Submitted by the Chairman of our Committee, Sir Francis Low and supported by the High Commissioner of India, Mrs Vijalakshmi Pandit. The Provost kindly responded and the land was sold to us at cost price. Mrs Vijaylaxmi Pandit laid the foundation stone of the building extension in the spring of 1960 . On January 18th, 1962 the hostel extension was completed and declared open by the Acting High Commissioner of India Mr T N Kaul. This was the first mixed hostel in London at that time. In the course of his address Mr Kaul expressed the hope that the admission of women students in the hostel extension may lead to ” something more than peaceful co-existence”. Dr S D Malaiperuman former General Secretary and Warden, was responsible under the Committee for the planning and construction of both the buildings. In 1970 Sir Francis Low, the then Chairman of our Committee of Management, opened the Golden Jubilee Extension Block, consisting of a conference room and two deluxe double rooms. Mr N G Joseph was the General Secretary who was responsible for that extension. Since then we have been rendering a four fold service: providing a home for Indian Students in London; promoting national integration among students from different backgrounds; projecting a correct image of India – and preserving a longstanding friendship between India and UK. The Hostel celebrated the Diamond Jubilee on 8 July 1980. HRH Prince Charles visited the hostel on the occasion. The Hostel initiated a Diamond Jubilee scholarship programme for YMCA Secretaries in India in the name of the Founder of the ISH, K. T. Paul to give YMCA Secretaries exposure to YMCAs in Britain and work of the ISH. Later in 1988, another scholarship in the name of Dr. S. D. Malaiperuman, whose contribution to the development of the Fitzroy Hostel building was great, was instituted. In 1986 a major refurbishment work was undertaken in order to bring the hostel facilities up to the standard set for similar hostels in U.K. His Excellency Dr. L. M. Singhvi, High Commissioner for India inaugurated the Platinum Jubilee celebrations on 4 February 1995. 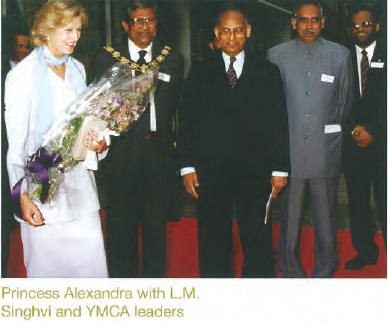 On 24 May 1995, HRH Princess Alexandra visited the hostel as part of the celebrations. In 1996, the Fitzroy Square building was listed by English Heritage and included in the list of buildings of special architectural and historic importance. To mark the Platinum Jubilee of initiation of the Hostel in London and the Golden Jubilee of completion of the Existing building in Fitzroy Square, construction of the Jubilee Memorial Block was initiated in 2002 and completed by June 2004. HRH Duke of Gloucester formally opened the block on 29th June 2004. The new block that was taken up at a cost of 2.5 million pounds upgraded the facilities of the hostel to provide cost effective modern living facilities, additional space for educational, social and cultural events and expanded the hostel’s scope to include other social and developmental activities. 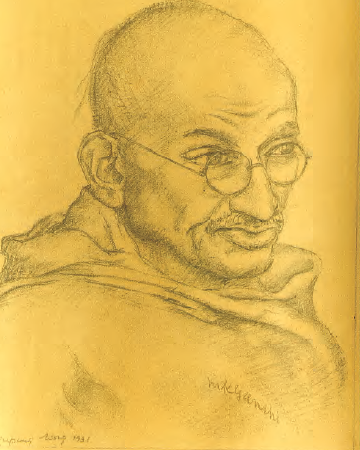 For more detailed information on our history, view our brochure Triumph of Faith.